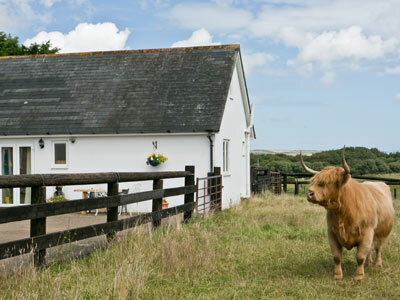 Relaxing holiday cottages on the Isle of Wight. Borthwood Cottages, originally a milking parlour and old barn, have been rebuilt to an exceedingly high standard to form three out of the four cottages. Laurel, the fourth cottage, is a new build. Situated in a tranquil rural location of outstanding natural beauty with views over the surrounding countryside to Culver Cliff and within yards of Borthwood Copse a National Trust bluebell wood with lots of wildlife including owls, woodpeckers, buzzards and red squirrels. The cottages are uniquely situated and a perfect base for exploring the Island. They are just two miles from the beautiful sandy beaches of Sandown and Shanklin and ideal for keen walkers and cyclists with connections to the Sunshine Trail. 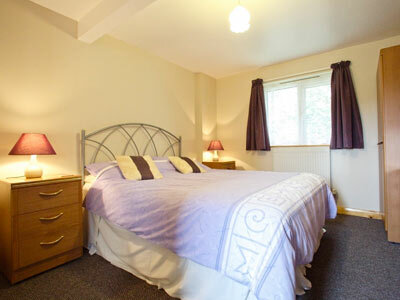 The cottages have been designed to provide spacious family accommodation, incorporating disabled facilities. In the neighbouring fields you will meet Erick and his family - our pet Highland cows. They can often be seen helping us keep the grass down in the paddocks around the cottages. Elm, Oak and Rose Cottages have been thoughtfully designed to accommodate the less able guest and accompanied wheelchair users. They have been awarded 4 stars by visitengland.com and graded M2 by English Tourism Council. Laurel is not graded, but is similar in design. 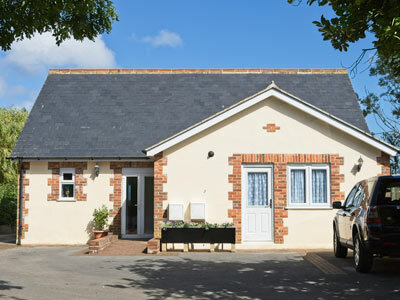 The Cottages are brick built with slate roofs, fully insulated and completely double–glazed. The majority of rooms have a southerly aspect with stunning views. Rose, Oak and Laurel are designed to accommodate 6 persons and Elm 4 persons. 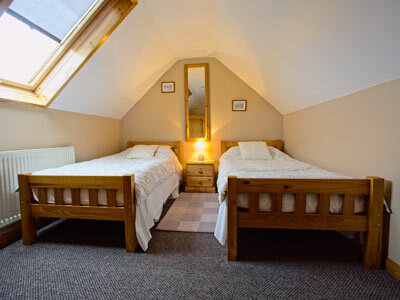 There is full central heating and the cost of all services, duvets, bed linen and towels are included in the tariff. In Peak Season Rose, Oak and Elm are available Saturday to Saturday and Laurel Friday to Friday. During other periods we can be more flexible.